How many drafts does it take to have a publishable manuscript? Can any first draft, not matter how rough, be polished enough to be published? If so, where do we start? There are three skills cover in this post, and although I’ll be referencing them as skills one, two, and three, they do not need to be mastered in any particular order. The numbers are a reflection of the most likely sequence for a steadily growing writer skill-set. Having at least two of these three author-skills mastered will increase the feasibility of creating a manuscript that can be polished enough to be published. That does not mean that having none of them mastered automatically suspends the likelihood, either. To be clear, sometimes a first-manuscript, first-draft idea will have more of a solid foundation than a three-skill author pantsing (free-writing / discovery-writing) on a bad day. But, more than likely, you’ll need to trudge through the skill-mastery in order to consistently produce work that is readily publishable. “Finishing” means having a complete thought in your story – namely that conflict was introduced and resolved. There should be a core plot even if other plot lines were introduced. Food for Thought: Literally or figuratively writing “The End” should not be sterile. Characters and plot tend to wriggle around over the course of a story. Being able to finish also means that you, as the writer, can herd both your characters and plot from Point A to Point Z while still allowing yourself freedom to have the unexpected creep into the story. Remember, if your story surprises you, it will also surprise the reader. Endings are [often] difficult but lacking an ending – resolution to the core conflict – runs the risk of leaving readers unsatisfied, which could motivate them to move on to greener literary pastures. Being able to identify the note you want your story to end on can provide a more concrete goal to reach and will usually help shape the story for the better. You do not need to know the ending before you begin writing, but if possible, try to identify it as soon as possible. It’s worth noting that you do not have to write an ending before beginning work on a second draft. However, you should try to avoid the temptation to tackle a third (or fourth, or fifth) draft without figuring out how the story ends. Also important – there is a difference between lacking an ending and hinting at a sequel story. Being able to leave hints without leaving your readers unsatisfied is key to writing a successful series. To acknowledge exceptions, there are books that have been published without a solid ending note. Some of these prioritized encouraging readers to buy the next book, while others simply, honestly, didn’t know how to end. I’m including mention of this but am also stating I would not encourage an author to brush this author-skill aside. Always remember that, yes, some stories end more easily than others, but if you are genuinely having trouble picking out the ending there are likely cracks in the foundation of the story. 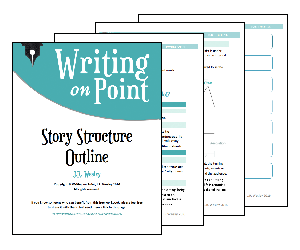 The primary goal of this author-skill is developing both your inner-editor and inner-writer to focus on the elements of your story that will capture a reader’s imagination. This especially includes the flow of the narrative, and of the emotional arc. 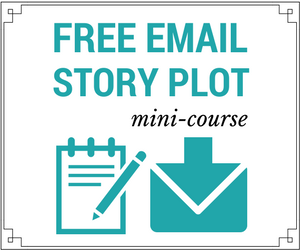 Identify your protagonist, antagonist, and the core conflict if you haven’t already done so. Even if there has been conflict in scenes, the one you should identify here is the one that weaves through all other aspects of the story. If you don’t have a conflict that fits that description, consider how to add it. This could include adding subtle mentions into scenes throughout the story to link together separate conflicts already written, or adding scenes / dialogue that are geared toward highlighting, expanding, or developing a conflict that will span the length of the story. Identify the emotional arc – the change that the protagonist goes through. Food for Thought: Feedback will be more useful if you have already taken the time to do at least one sweep of your story with an eye to the things outlined in this author-skill. It’s even more likely to be useful if you’ve written an entire second draft – including the ending – before handing it off to early readers. Alternately, if you don’t have early readers, this is when you’ll want to put your story in a drawer, so to speak. Cleaning it up as much as possible beforehand will help you avoid future discouragement with old writing. Following the second stage is, of course the third. After we’ve learned to finish writing our stories, and how to hone in on their core, we are left here. Rounding out the last author-skill for this post is self-editing. Rewriting scenes, paragraphs, dialogue, etc., should give you, the writer, a chance to experiment with secondary possibilities. You can evaluate character consistency, and also explore characters more in depth. Save everything. Either in a separate document, or as notes in a note-taking program, or however you’re most comfortable doing so. You never know when you’ll come up with an idea that suddenly makes something you previously thought you didn’t have room for relevant to the new draft you’re working on. Self-edits do not need to be solely or entirely about the technical aspects of writing, and they certainly don’t need to be comprehensive. Creating perfect prose in a scene that might later be removed is always a sobering thought and should hopefully help you determine how best to focus your efforts. Capturing a reader’s emotional interest is absolutely important, so use the time in self-edits to clean up prose that could distract the reader, or that could disconnect them from the hypnotism of the story. Always keep in mind that although we hold our characters to high levels of consistency, that doesn’t mean you should censor them. Explore possibilities, and if needed, identify scenes or dialogue that would be better served by rewriting or editing. Perfection of prose is not the goal. Clarity of tone, writer voice, and effective plot points is. Final thoughts and important notes: Feedback will never magically appear, and even when we receive it, we must be open to what it says. In essence, although we’re not discussing it as an author-skill, knowing and accepting that our story might mean different things to different people, it is important to embrace that idea rather than to narrow ourselves down to what we think the story should be. Writers definitely need to have a grasp of their story’s foundation, but the reader is always the one who determines what the story means to them. Would you agree that these author-skills are important? What other skill could be listed in the top three? Do you struggle with any of these skills? If you don’t have any of these mastered, are you currently working on changing that? What comes most naturally to you as a writer? The comments are always open.